Aizawl, Apr 9 : Masked robbers armed with countrymade guns terrorized villagers of Bungthuam and other nearby villages along the Mizoram-Tripura border after robbing and intimidating a non-tribal and his daughter on Sunday. The incident triggered fear of communal tension in the northwestern belt of Mizoram. Reports said that eight masked, armed men speaking in the Bru dialect entered a farm hut owned by a Mizo man, J Malsawma, near Bungthuam early Sunday morning. They physically tortured the chowkidar of the farm, Abdul Manaf, and his family members. The robbers also forcibly took Rs 1,500 in cash, a mobile handset and six chickens. "The robbers, while entering the farm hut, threatened the family members verbally and pointed their guns at them," Bungthuam village council secretary Lalhmingmawia said, adding that the miscreants were communicating among themselves in the Bru dialect. Manaf and his nine-year-old daughter were beaten up by the robbers when they told the latter that there was no money in the hut, Lalhmingmawia said. Police, after receiving news of the incident, rushed to the village and chased the robbers. Manaf and his daughter were admitted to a nearby rural hospital for treatment. 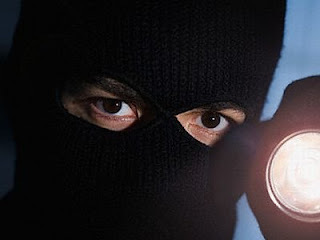 The village council secretary said he thought that the robbers were not militants, but goons for hire who were trying to make money by intimidating and robbing innocent people. "The police, accompanied by the village leaders, found that the trail of the robbers led to Khakchangpara relief camp in North Tripura district where many Bru refugees are lodged," he added. The incident came close on the heels of the release of five people by some Bru miscreants working under a reported renegade commander of the NLFT. The hostages were released after being held captive for 38 days. A leader of the Young Mizo Association (YMA) said that the patience of the people is wearing thin as such incidents of violence have become very frequent in the border areas of the state and could lead to communal tension. "Such acts of violence, including abduction, robbery and criminal intimidation, if repeated, could trigger communal tension as the perpetrators of such crimes always target the majority Mizo community," the leader said.